The Women & Technology Conference aims to encourage women involved in technology education and research, private enterprises, the public sector, investing, and entrepreneurship. The 2016 event will explore how women and technology can help to revitalize West Virginia’s economy. West Virginia is known for many things – its people, its scenery, its natural resources and, now more than ever, an unbridled entrepreneurial spirit interested in creating opportunity here at home. Our state’s innovation economy is beginning to blossom but more needs done to capitalize on the opportunities technology offers. West Virginia needs to engineer the foundation and framework upon which a thriving technology economy can be constructed. 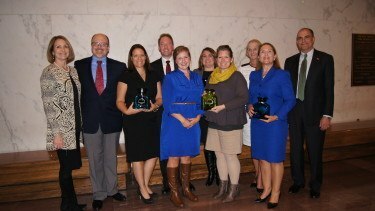 In essence, we need a roadmap that all stakeholders can follow that sets the course for growing our innovation economy. 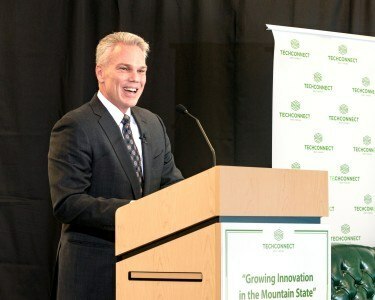 Please join Intuit CEO Brad Smith and a select group of state political and opinion leaders, in attending the April 6th Growing Innovation in the Mountain State Policy Forum. The event will take place from 9:30 am-noon at BridgeValley Community & Technical College in the WV Regional Technology Park, in South Charleston. Learn more about “America’s largest seed fund”–the SBIR and STTR programs–at the SBIR Road Show, July 19, 2016, in Morgantown. This is your opportunity to meet one-on-one with SBIR program managers for federal agencies. Registration will open soon. 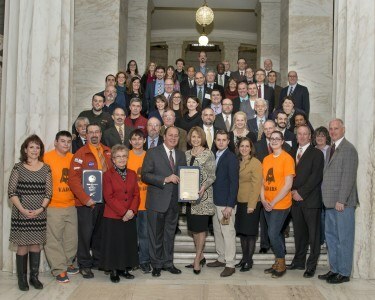 Innovation & Entrepreneurship Day at the State Capitol showcases the groups and companies that are working to advance innovation and entrepreneurship across West Virginia.